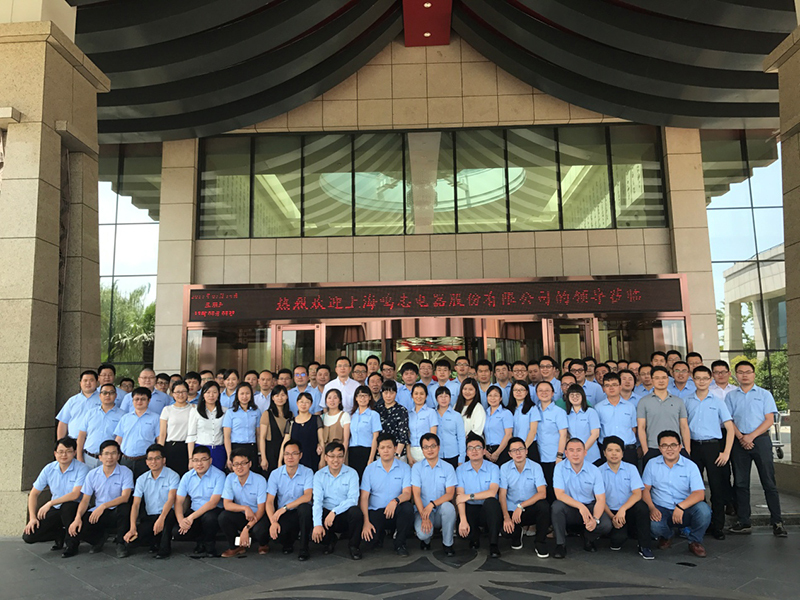 On 16th July, the four-day MOONS’ Greater China 2017 Midyear Sales Meeting was rounded off in Xi’an. Chu Peifeng, general manager of Greater China Area Regional Sales Headquarters, along with branch managers and salespeople, summarized what the enterprise achieved in sales in the first half of 2017 and make detailed sales plans and goals for the rest of the year. The purpose of brainstorm in the meeting is to make better communication between sales and Business Units. Liu Jinping and Chang Jianyun, both vice presidents of MOONS’, were invited to the meeting to share their successful sales skills and they encourage all to make great progress in the future. MOONS’ e-commerce team was also invited there to introduce the enterprise’s business plans and global strategies for seeking out business opportunities. We have made impressive achievements in the first half of 2017. We will keep going as our slogan says, “Moving in better ways” and be positive to failure. We have confidence to make more progress for the rest of the year.